Posted on November 5, 2012 by Sarah S.
Last week, I started blogging about some of my favorite pieces from my closet (check out my Ferragamo shoe collection here). It’s an attempt at reminding myself of all the amazing clothing, shoes, and jewelry that I’ve accumulated over the years– and more specifically over the last few months after graduation. Most of these pieces are vintage or antique, which I think makes them particularly unique and interesting. 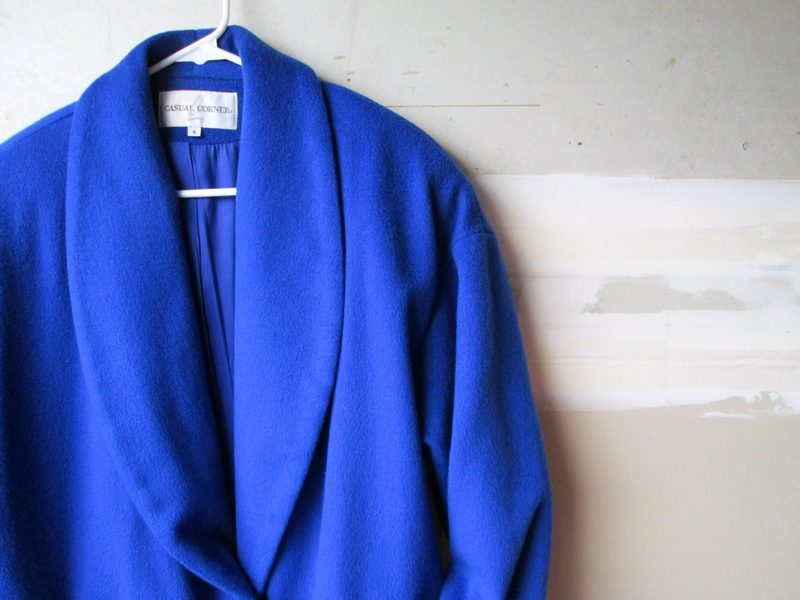 This is one of my newest finds; it’s a vintage (circa late 1980s or 1990s, I believe) oversized coat in a gorgeous cobalt blue. I’ve sen some oversized coats out there (Once Upon a Time fans will recall Mary Margaret’s cocoon coat from season one), including at Topshop and J.Crew, so I was thrilled to find this vintage piece for $20 at my local Good Will. 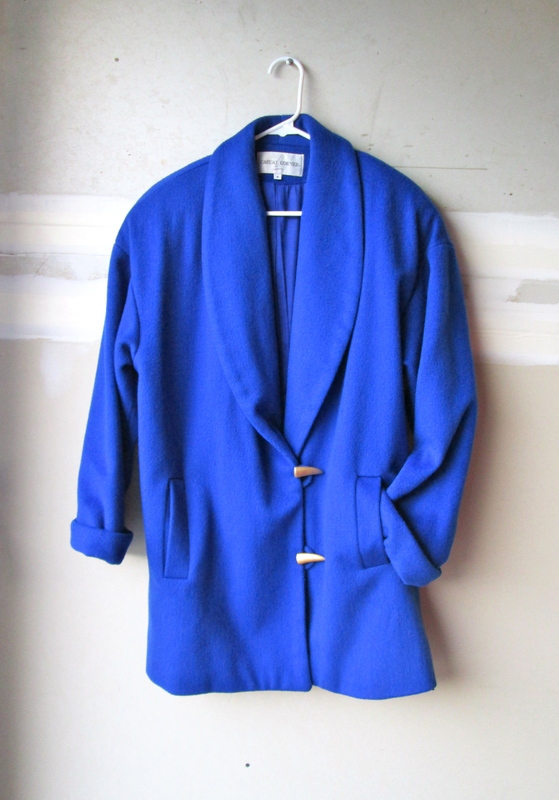 The coat is 100% wool and is in great condition. Hate to say it, but I’m looking forward to the colder temps to try out this coat! 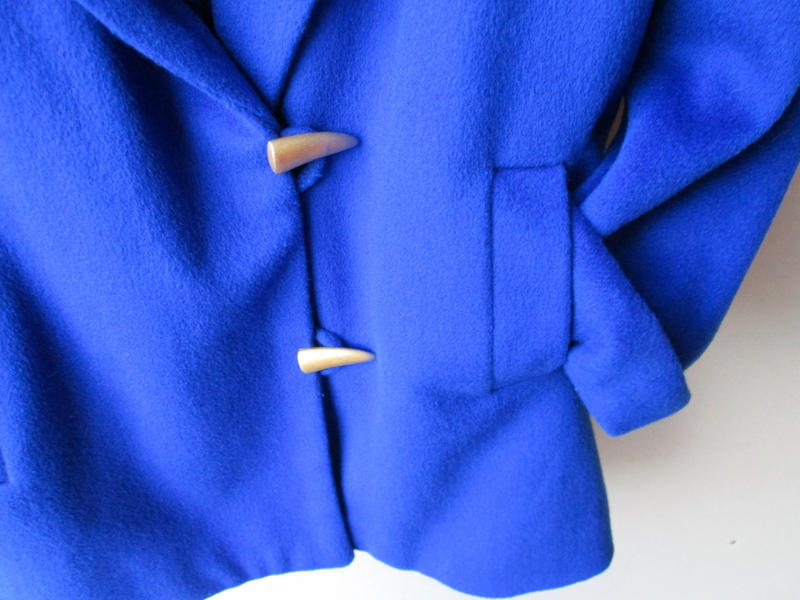 This entry was posted in Style and tagged cocoon coat, mia prima casa, miaprimacasa, oversized wool coat, thrifting, trends, vintage, wool coat, wool outerwear. Bookmark the permalink.